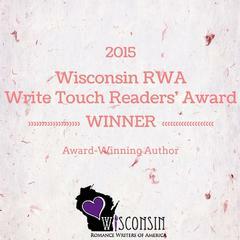 2015 Wisconsin RWA Write Touch Readers' Choice Award Winner! Yay! So excited to announce that REBEL MARQUESS won the 2015 Write Touch Readers' Choice Award for Historical - Long! Here's a brief blurb of the book. Eliza Terribury is determined to be the first of her sisters to evade her mother’s attempts to shoo her down the aisle. Her novel-writing dreams will wither under the demands placed on a gentleman’s wife. Saddled with his title at a young age, Michael Gerard, the elusive Marquess of Rutherford, has always done his duty, but he will not be pressured into choosing a wife. He just never expected the rush of attraction every time the impertinent young Eliza crosses his path.